Yes, Ulysses Simpson Grant fans, there is such a thing as a US Grant Rug. 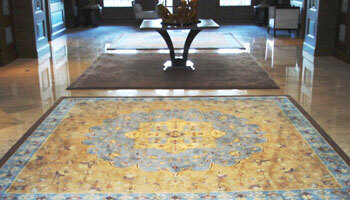 The 5 x 7 rug to the left is available at CafePress for $149.99…or it was when I wrote this post. 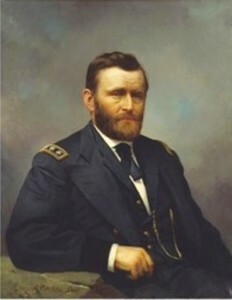 US Grant as we all know, won the Civil War and became President. 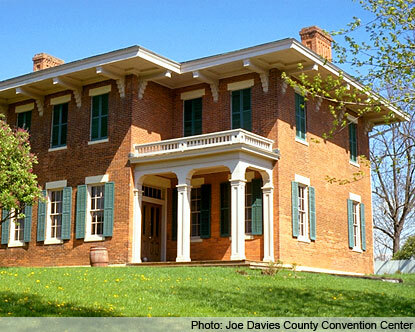 Grant is probably my favorite American historical personage, so when I got a chance to view his home in Galena, Il recently, I took it eagerly. And was rather disappointed. I went into the house hoping to see more of the original furnishings. But the pictures on the walls were all copies and worst of all for me, the rugs on the floors weren’t as old as I am…and no I wasn’t around for that war. Don’t get me wrong, the entire experience wasn’t a bust: The proctor did a great job of showing me around the house and much of the furniture, including Grant’s favorite chair, was original. The house itself is worth seeing and there was an interesting Union Army camp nearby with Union soldiers demonstrating the manual of arms with muskets. Oh, and did I mention the tour is free? Contributions appreciated but not required. Anyway, I returned home wondering what I could find on US Grant and rugs, carpets and tapestries.